Warning: This book does contain murder, drowning and suicide. I really enjoyed this book. Although, I don’t feel like it’s fantasy. To me, it read more like a YA mystery novel with witchy elements involved. But other than that little thing, I really liked this book. I was sucked into this book from page one. I think this is the first book I’ve read that has witches in it that’s not Harry Potter. It was a new experience for me seeing as HP is for a younger audience. This book definitely isn’t for children. 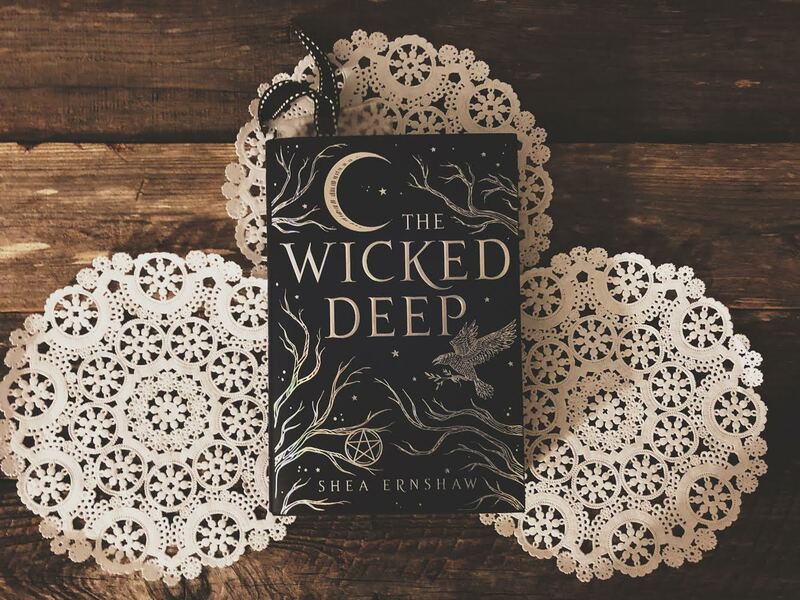 The Wicked Deep follows Penny who lives in a little town called Sparrow. Sparrow is said to be cursed by Marguerite, Aurora, and Hazel. Three women that the town of Sparrow hung centuries ago due to witchcraft. I’m calling them women because nowhere in this book did they actually admit to being witches. Every summer, the women come back and steal the bodies of three girls and make boys drown in the ocean as revenge. The book doesn’t get into how this is done. I’m not necessarily sure if it was indeed witchcraft or something else. The book never goes into that. Which was a bit annoying and is the reason it’s getting four stars instead of five. We follow Penny throughout this novel. We get to see how she has to deal with the witches and how she sees them inside of the girls they have stolen. She also has to protect her new love interest, Bo. Who I really loved throughout this book. I liked him more than I liked Penny. This book was really intriguing and had a couple of twists I wasn’t expecting. I was on my toes throughout this entire book. I just can’t believe how much I enjoyed it. Seeing as it was compared to Hocus Pocus, a movie in which I actually hate. I can see the similarities but they’re definitely not the same. If you’re looking for a mystery “fantasy” YA novel, you should really read this one. It’s such a fast paced book. I could have read it in one sitting if I had the time. With this being said, I really can’t wait to see what Shea Ernshaw does in the future.